Not only will this keep your 8 - 13 reading to the very end they will also be learning what is was like to live in the middle ages! I could actually see this being used by homeschooling Mom's as an educational tool as there is a glossary at the end which gives the present day definition to the terms used in the book for those words back then. Personally I thought it ended rather abruptly and i think the author should continue the story of this boy and girl who were never meant to even know each other-much less become friends. Gentry and peasants did not coexist back then! But extenuating circumstances made it feasible. I believe your pre-teen and young teens will really enjoy this story! Castle in Danger by retired NYC teacher Karen Rita Rautenberg is a richly evocative historical fiction novel set in the time of the Middle Ages in the 14th Century. 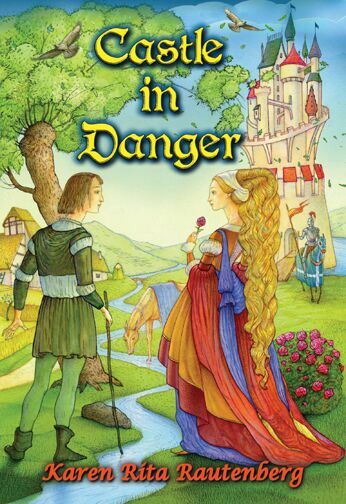 Well-crafted and laden with entertainment and learning value, Castle in Danger is intended for children ages nine to twelve. 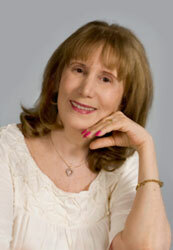 Karen Rita Rautenberg worked for over 25 years as a counselor, teacher and social worker. She is currently an author for children’s books. She lives in New York City. Her previous children’s titles include Ballerina Detective and the Missing Jeweled Tiara, which was the Winner of The iParenting Media Awards, 2010 and the Mom’s Choice Awards for 2010; and Lady Lucy’s Gallant Knight which was her first book set in the middle ages. I remember loving reading books like this when I was younger! I'm not sure that my son would like as he doesn't like anything that doesn't have to do with sports it but I think I'm going to have to try and see as it looks like a really good read! This would have been a book I would have loved when I was younger. Looks like a great summer book to add to a reading list for any tween. Thanks for the review. Our eight year old is breezing through books at a ridiculous pace right now, so it's good to find a new one that she would enjoy. I am going to get this one for her to enjoy next week while we are driving. Thank you! I love to see what is new in summer reading, and this makes a wonderful summer read for kids. Love that this book will teach kids the difference in middle ages and now - because there were SO many!!! Thanks for the recommendation. I love how this story involves so many smaller adventures! It's bound to be a good read for any adventure-loving kid. I think my 9 year old daughter would love this book. Thanks for sharing! My nieces will love this book. It's nice that they are finally reading. I will buy this for them. I love a good book with mystery and adventure. Sounds right up my alley. Oh what an interesting concept. This sounds like such a fun medieval adventure. Sounds like a great children's book. I have a few nieces and nephews that probably would love this book. I love providing books for my daughters that teach and inspire at the same time. I'll add this to my list of books to share with them. This looks like a great summer read for kids! Thanks for sharing! Looks like a great book for kids. Thanks for sharing. Oooo this sounds like a really great book! I bet my daughter would absolutely love it. I will have to look into it for her. It seems like a good material for a story. I hope they continue with the story like this. It sounds like a great book for any child who loves adventurous stories like this! I bet my 11 year old daughter would love it! I love that this one is for children! It sounds like a fun summer read. Great review, Miki! Sounds like a good book! I love it when there is a glossary in the back for period pieces, even as an adult! This looks amazing! I will have to show my daughter! This sounds like it would be an interesting read for children of all ages! I liked not only the title but the book cover photo! They say we shouldn't judge a book by a cover, but think we all do! This sounds like an interesting read for tweens. I loved this kind of story when I was a girl. This is just the kind of setting for a book I love. The old world feel sounds nice! Love that it's a peasant. This would be a good book for my daughter and I to read together. I think this is a great story - my daughter is "afraid" of chapter books - we'll get there though! Sounds like a great book! I will share it! My 8 yr old is just getting into chapter books, I'll have to check this one out for her. This sounds like a book my nephew might like because he love adventure and mysteries. He takes after my sister who love to read. Thanks so much for sharing. When I was a little girl, I used to love stories like these! As an adult ... well, I have to admit, it still makes me smile. This looks like a great story! I would have loved stories like this when I was a kid. I bet our kids would love it too. Sounds like an interesting read for that age group. I always loved curling up with a good book at that age (and still do). Grateful to my parent for introducing books/reading to me as a child. Book sounds like something i would have enjoyed reading as a child. Sounds to me just the type of books that I do read for a change. ~hehehe~ Mythology, fantasy, like Hans Christen Anderson too. Now those are the types of books i love to read and escape from reality. I'm going to have to check this one out and see if it is sold for Kindle too. Thanks for sharing. This was the type of books I loved as a child and still do. My daughter loves historical fantasy books as well. Thanks for the great review. My 8 year old niece is starting to love reading. She would go nuts for this book. It sounds like a great story.